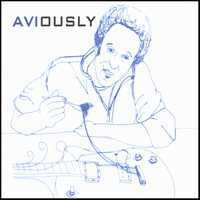 A mainstay of the New York jazz circuit, Avi Pavlovich's first release showcases not only his jazz roots but also a style that has rapidly matured and become something a lot more interesting. Together with Jeremy Powell (tenor and soprano ax), Bob Deboo (bass) and Yoni Halevy (drums) he's produced an album that owes as much to classical composition and cinema as it does jazz. Opening with the 7:33 Intoxicated, the album builds gradually in a way that shows its roots to a tee. Intoxicated is a piece of music that calls to mind steamy New York streets, cabs punching the clouds and skyscrapers towering high overhead. It builds slowly, and interestingly with Pavlovich's guitar coming in near the very end. This is the entire band working as one to create a piece of music that is cinematic in scope and classical in feel. It evokes film noir as much as Miles Davis and opens the album incredibly strongly. Powell's work in particular is superb and when Pavlovich finally steps up to the mike, his guitar playing is elegant, restrained and filled with an energy that demands you pay attention to it. Temporarily Disconnected follows it and slows the pace right down. Where Intoxicated has a driving force behind it, here the focus is entirely on Powell's languid sax as it drifts out across the drums. It's a brave choice, slowing the album down so soon into it but it works extremely well. The Go-Getter is next, and here Pavlovich is centre stage. The arrangement is unusual, with big band elements being brought into play as Pavlovich and Powell's instruments dance around and complement one another. This is the most overly jazzy of the five tracks on display here and the most structured. It again demonstrates Pavlovich's mastery of the guitar and lets him cut loose a little, the central section filled with intricate but involving guitar work that never descends into the self indulgence jazz is infamous for. Oddly, that's exactly the problem Save The Trees has. Powell's sax is back to the fore here and once again complements and builds on Pavlovich's guitar work. However, the change to soprano sax changes the tone of the piece and not for the better. It's looser and less structured than the others and the sax solo in particular soon begins to grate. Where the previous tracks had a focus and energy to them, Save The Trees is freewheeling in a way that never quite comes together. It's still impressive but is difficult to like. Finally, the album closes with an 8:47 reprise of Intoxicated. Once again, there's a danger of things getting dangerously self-indulgent but instead you get an expanded, slightly more industrialised version of the track that works superbly well. It's different enough to be interesting but at the same time contains enough of the original to make the listener appreciate the changes. Assured, confident and defiantly refusing to be classified, this is an extremely impressive debut. Pavlovich and his band are top class musicians who at their best provide the listener with extremely tight, beautifully executed music. Whilst the single foray into jazz here is the weakest point it's still technically superb and overall this is a great debut album from an artist who looks set to make a real name for himself. Do yourself a favour and get in on the ground floor.